This philosophy has allowed us to represent clients of nearly any size on a wide variety of construction law issues across the State of New York for more than twenty years. In fact, our construction attorneys have represented businesses of all sizes ranging from small locally owned companies to nationally and internationally known members of the Fortune 1000 and S&P 500. Whether your construction law case involves a small issue that we can resolve in a few phone calls, or a multi-million dollar claim that requires extensive litigation, we apply this same philosophy to every case. We are able to offer the skilled service and aggressive litigation of a large New York law firm while providing the personal attention and individual representation that you would expect at a smaller law firm. At Kushnick Pallaci PLLC our clients are more than just names on a list, they are people that we know and people that we care about and want to help. The firm’s managing member, Vincent T. Pallaci, personally oversees the firm’s day-to-day construction law operations and works with the firm’s other attorneys to achieve the client’s goals. We understand that you have worked hard for your business and it is our goal to help you protect that hard work. We realize that every dispute and every client is different. That’s why our goal at Kushnick Pallaci PLLC is to establish an individual plan that meets each client’s specific goals in way that is not only the most effective, but the most cost-effective. The attorneys at Kushnick Pallaci PLLC provide our clients with a full spectrum of legal protection across the State of New York with a particular emphasis on construction law in New York City (Manhattan, Queens, Brooklyn and the Bronx) and Long Island (Nassau County and Suffolk County). We pride ourselves on being a “one stop shop” for the construction industry and we can handle your construction law issues in any of New York’s 62 counties. Because we know and understand the construction industry, we can often identify problems that other attorneys may not be aware of and offer solutions that other attorneys may not know of. We encourage client interaction and strongly suggest regular contact with the client to make sure that potential problems are identified and solved as soon as possible. Often, clients will not even be aware that an issue exists but our skilled attorneys will identify the issues and implement a plan to protect your business before the issue turns into a time consuming and expensive problem. Whether you have an OSHA violation, a problem with the Department of Buildings, a collection problem, need a construction license agreement, have a mechanic’s lien issues, an insurance dispute or a defective work claim, our attorneys are here to help. 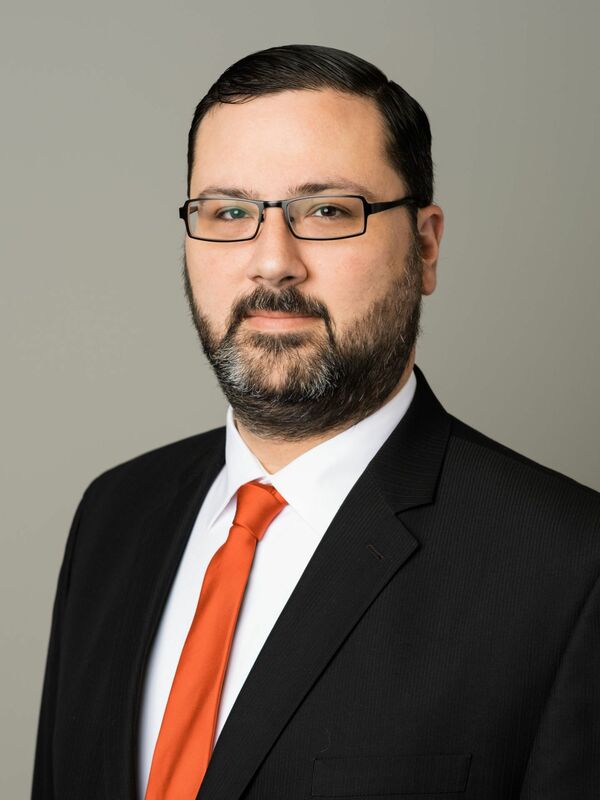 Vincent T. Pallaci is a founding member of Kushnick Pallaci PLLC and is the firm’s managing member, personally overseeing all day to day operations of the firm. Mr. Pallaci’s practice focuses mainly on complex construction, real estate and insurance litigation. He represents a wide array of players in the construction industry ranging from general contractors, developers, owners and construction managers to project managers and subcontractors in a wide variety of disputes including defective construction, excavation and property damage claims, delay claims, scope of work disputes and mechanic’s lien enforcement actions. He has successfully represented clients in arbitration and mediation as well as State and Federal litigation. In addition to his litigation practice, Mr. Pallaci also regularly represents clients in construction and design contract drafting and negotiation, labor and employment law issues, handling municipal violations as well as the preparation and review of mechanic’s liens and lien waivers. Mr. Pallaci has lectured and written more than 100 articles on construction law related topics including loss mitigation strategies and effective payment recovery options and is a former Chairman of the Nassau County Bar Association’s Construction Law Committee. He has been named a “rising star” by Super Lawyers Magazine every year since 2012. We are a law firm that serves your interests. Contact us at Kushnick Pallaci PLLC at (631) 752-7100 or (212) 752-7155 to schedule a free initial consultation.